No Fenders -Formula 1, IndyCar and A Whole lot more..: Tonight's the Night, Just Win Hinch! Tonight's the night that decides who takes the Chequered Flag first! 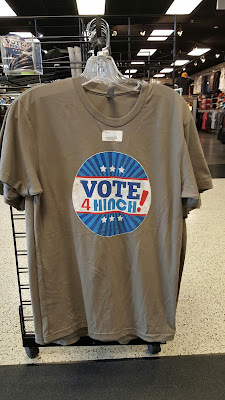 To be crowned this year's Dancing With the Stars (DWTS) champion, which hopefully will see our incorrigible IndyCar Champion Elect, Ye Mayor 'O Hinchtown, nee James Hinchcliffe victorious! As NO idea if tonight's the night Hinch' pulls out A-L-L the stops by jumping over his Schmidt Peterson Motorsports Dallara-Honda IndyCar or NOT? Hya!